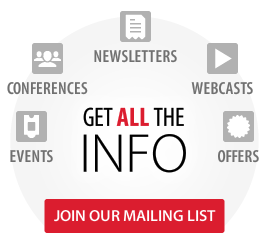 Stay informed - Join our mailing list! Want to stay updated on the latest product information, training, event announcements and webcasts? Subscribe Today! Simply fill out the following form to stay informed.